An essential piece for cooler winds in warmer weather. 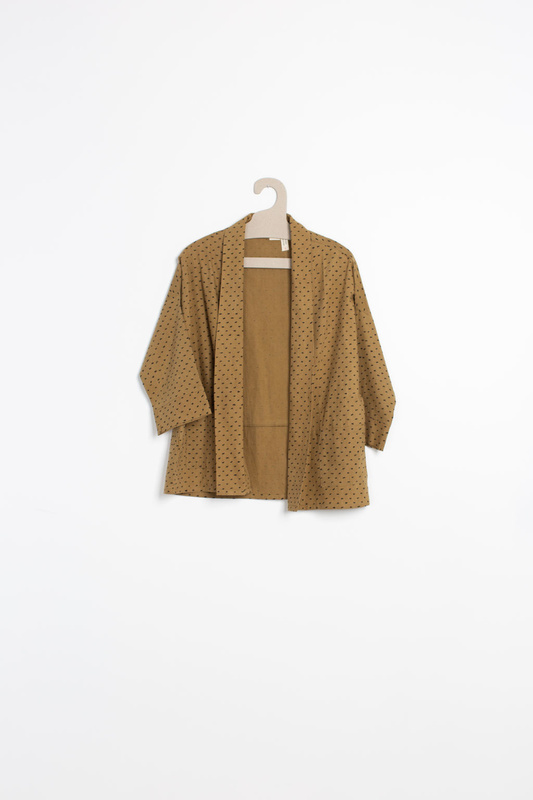 The cut is kimono style merged with cardigan. The textile is lightweight, thin and soft. Can easily be thrown into a bag in case it gets chilly and is nice to layer as well. The design is block printed by hand, and the garment is naturally dyed as well. 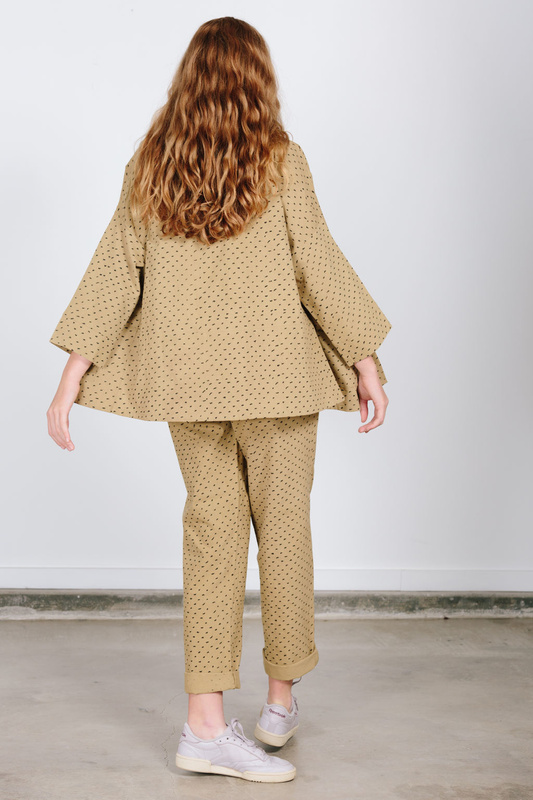 The pattern is inspired by an artful painted Swiss dot. 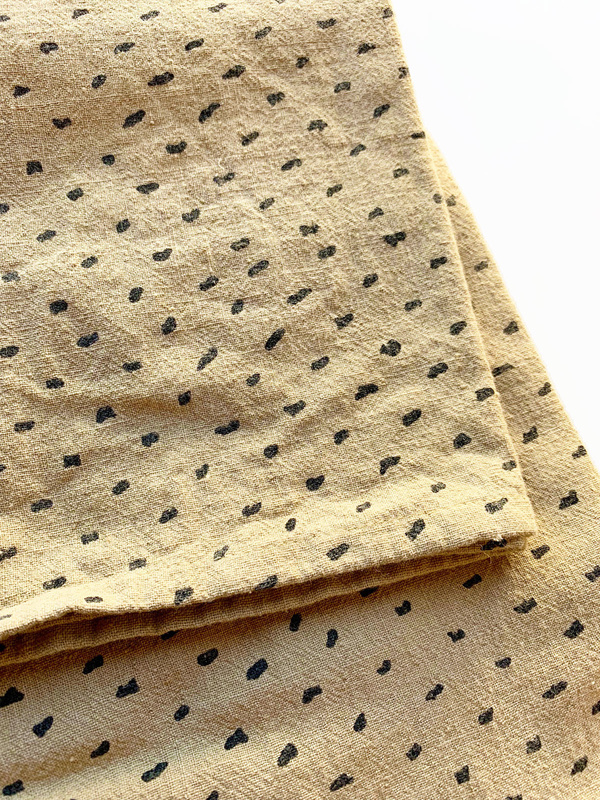 A precious handwoven textile - it will continue to soften and gain character with wear.